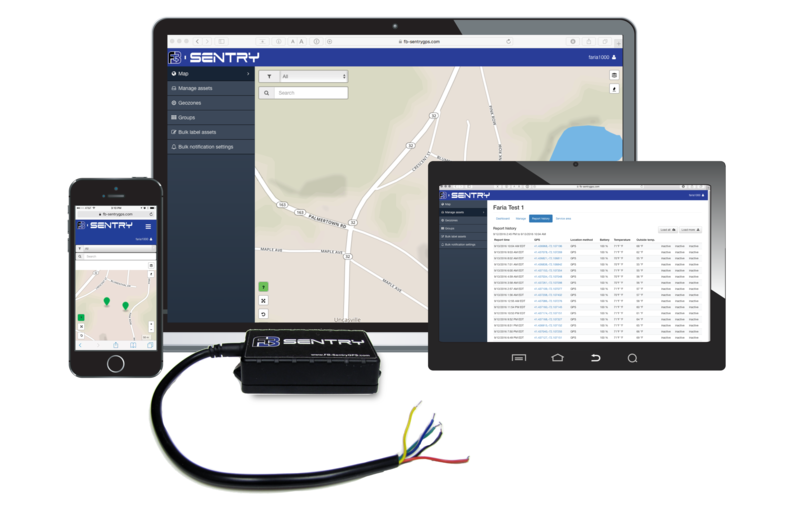 Measures only 4.56" x 2.25" x 1.125"
FB-Sentry and the WD315 is a complete web based tracking package providing GPS location for long term monitoring. Locate your assets and know ambient temperature even when the asset loses power. 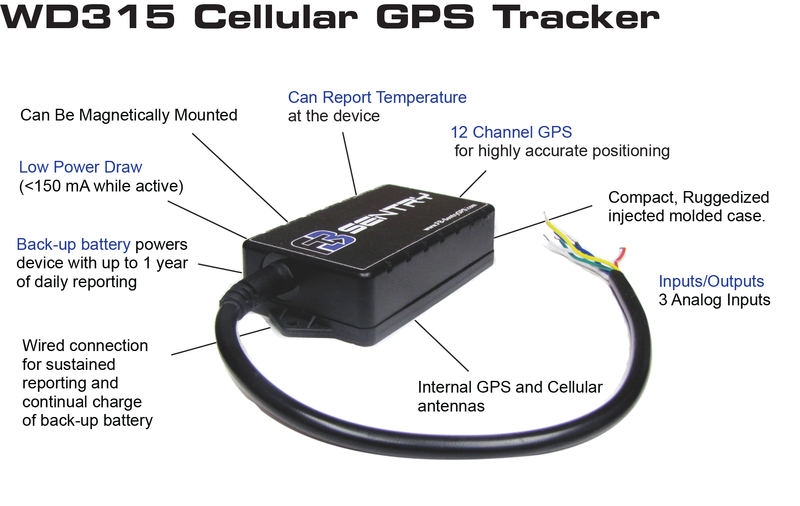 This small self contained device monitors your assets location with GPS and supports location with Cellular Tri-location using cellular tower information when GPS signal is not available with accuracy from 50 to 880 yards. The 5000 mAh lithium back-up battery provides for long term reporting, when disconnected from power, up to 24 months. This device, once activated, can not be tampered with and turned off mechanically. However, the owner has complete control using over the air technologies, preventing disabling. View your assets location and get directions to your asset on the FB-SentryGPS.com website. The secure website is password protected and can view all activated assets on a single page. Drill down and get individual asset information. If GPS signal is unavailable (for instance if asset is in metal building), the Faria Beede WD315 will use cellular tower information for a low-precision location. Accuracy is not possible, but reliable, general location information is available. Precision within ½ mile is about average at this time, but location within 50-880 yards is possible. When you are away from Cellular service the system can store up to 20,000 reports and downloads when back in range. Reports position every 7 minutes when in motion with comprehensive GPS Tracking and Routes.